The lawyers of Shore, McKinley, Conger & Jolley, LLP know that car accidents can cause catastrophic and even fatal injuries. That is why they have helped countless people in and around Stockton, CA following major auto crashes. We want to make sure that negligent parties are held liable for their actions. Running red lights is a dangerous act that can cause all sorts of collisions. Below is some information about intersection accidents, collisions related to running red light, and a few reasons why these things happen. Looking at some older numbers on intersection accidents, we can note the dangers of cars driving perpendicular to one another. In 2007, the National Highway Traffic Safety Administration (NHTSA) found that 40 percent of the 5.8 million auto collisions that occurred in the US took place in intersections. This included 8,061 fatal crashes in intersections (21.5 percent of all traffic collision fatalities that year) and 767,000 injury crashes (44.8 percent of all traffic collision injuries that year). Whether turning, merging, or proceeding through an intersection, the potential for a collision is high. According to numbers compiled by the Insurance Institute for Highway Safety (IIHS), 811 people were killed in accidents that involved people running red lights. Numbers from 2015 reveal that around 137,000 people were injured in collisions due to drivers running red lights. Both of these numbers reveal the dangers related to running red lights and disregarding stop signs at intersections. One of the biggest dangers to consider when vehicles run red lights is the potential for a broadside collision. These side impact crashes can lead to major harm to drivers and passengers in a vehicle because the sides of vehicles do not have as much structural protection during the crash. While side impact airbags are now common, they might not be enough to prevent serious injuries. Whether you’re making a left turn at an intersection or a right turn, there are many hazards to consider regarding other vehicles on the road. 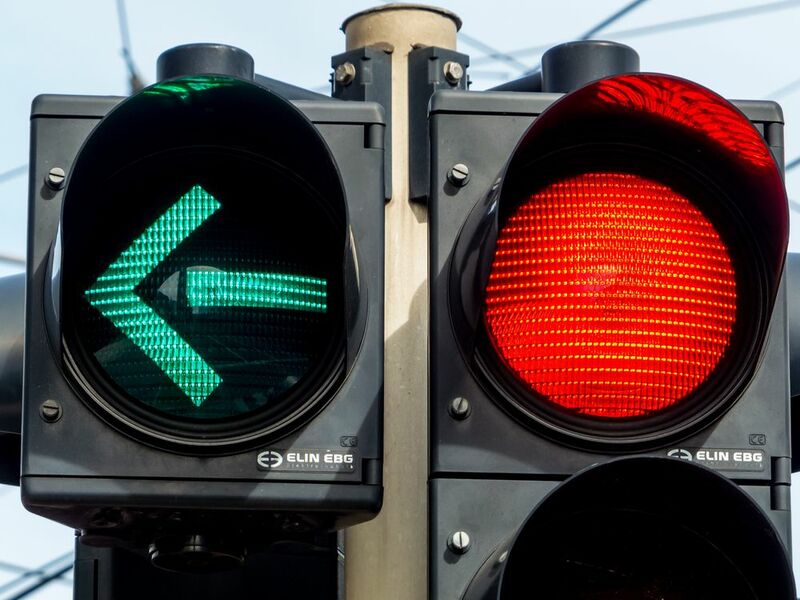 Running a red light when making a left turn put you at risk of collisions with oncoming traffic or with traffic traveling perpendicular to your vehicle, making head-on or T-bone crashes more likely. Even with right turns, running a red light increases the risk of sideswipe crashes with oncoming traffic. A number of people speed into an intersection to avoid getting caught at a yellow light. This increases the risk of many accidents. If they miss the yellow light and run a red, a collision can occur with the traffic at the intersection. Even speeding through an intersection makes sideswipe crashes and other kinds of collisions more likely. Use the yellow light to slow down rather than speed up. Exercise caution when the light says so. Sometimes motorists are not to blame for crashes. There are some instances in which traffic signals malfunction, which makes crashes at intersections more likely. In these cases, local municipalities and traffic authorities may be legally liable for a collision taking place. We’ve noted harm to other motorists throughout this post, but the dangers extend to bicyclists and pedestrians as well. Running a red light puts countless people who share the road at risk, which is why all motorists must exercise caution while they are behind the wheel. To learn more about your legal options following an auto accident, it’s important that you contact an experienced injury accident attorney. The legal team at Shore, McKinley, Conger & Jolley, LLP is here to help. Our law firm can also be contacted by calling (209) 477-8171.